Paddy Morgan will be providing us with an update on pre-hospital resuscitation in drowning! Prior to becoming a doctor, Paddy was a surf lifeguard instructor and has since progressed to be secretary to the International Lifesaving Society (ILS) medical advisory committee, honorary medical advisor to Surf Lifesaving GB and sits on the Royal National Lifeboat Institute’s Medical & Survival advisory Committee. He has a passion for travel and has provided medical support to extreme events: from the jungles of Brazil to the polar regions. Current research activities include cold water immersion and drowning with the Extreme Environment Laboratory at the University of Portsmouth. Meet Paddy in Sagres! Ingvar Berg works as an Emergency Physician in the HMC Hospital in The Netherlands and is one of the founding fathers of Surfing Medicine International. Over the years he has gained experience in education in surfing, with a special interest in drowning. His research has lead to a presentation the World Conference on Drowning Prevention in 2015. “A call for action on proper action in drowning resuscitation”, a joint effort of SMI with Lifeguards Without Borders, Sobrasa and Surf Life Saving GB was published in the international peer-reviewed journal Resuscitation. In Sagres he will present the results of the unique research the SMI has done; the characteristics of surfers as bystander rescuer, their vital role in drowning prevention. Kunimasa Inada is an orthopeadic surgeon in Chiba, Japan. He is the chief of the department of spine surgery. Also he is the official support doctor for the Japan Pro Surfing Association (JPSA), gaining a lot of experience in treating both acute and chronic injuries in pro surfers. He is an avid surfer himself, but he may also be found skiing or snowboarding down the slopes or shredding up the concrete on a skateboard. Do you know what could happen to you when surfing? Or what chronic injuries you should be aware of? Learn more on Kunimasa Inada’s lecture in Sagres! Ogi started surfing 1986 on the beaches of California and never stopped surfing since. 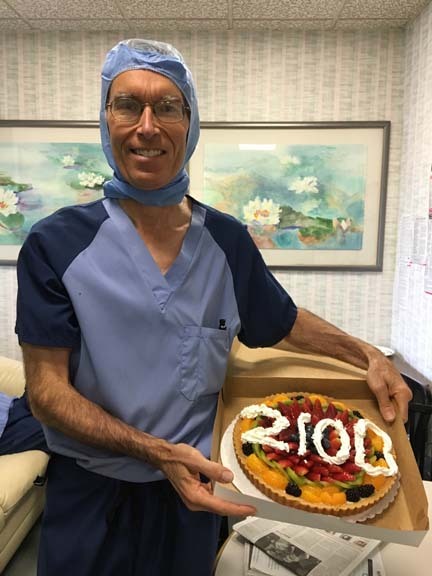 Upon finishing his medical training he first worked in internal medicine and anaesthesiology before specializing in Ophthalmology, Optometry and Eye surgery. Later he widened his education in specializing in Occupational and Preventive Medicine with special interest in UV eye pathology. His love for surfing has lead him to become one of the founders of Surfing Medicine International, co-creator of the Surf firs Aid App and SMI coordinator of the HP Surf Coaching Uni Lisbon, all driven by the goal to: “Keep Surfers healthy and safe”. He will update us together with Prof. Moreira on the newest developments of high performance in surfing. Tim Jones will be speaking on his life experiences in surf injuries. So what is his experience? Tim has been surfing for over 50 years, and coaching other surfers for over 35 years. As a lifeguard he is holding an International Life Saving Association Surf Lifeguard Award. He is the director of both surf school Sri Lanka and Surf School Lanzarote and alongside he founded the Sri Lanka Surfing Federation. Also he has been designing and constructing surfboards for the last 37 years.So yeah, Tim is experienced! And he is ready to share all his knowledge with you! Join us in Sagres to meet Tim! Terry will lecture about injuries from the big wave tour. He is a trained Emergency Physician, and now working as a physician for the World Surf League (WSL), where he provides medical support for all professional surfers at the WSL big wave tour. Some of us have already seen his lecturing skills when he was an instructor at the Advanced Surf Life Support course, and previous conferences … and we want more! As a surf enthusiast he researched lumbar intervertebral disc degeneration in professional surfers by use of MRI. He will update us on his unique research in Sagres! His home spot is Kisakihama Miyazaki Japan. Come and meet Takeshi in Sagres! Mischa has a special interest in dealing with unforeseen situations, whether it is in the hospital, out on the streets or on the beach. This special interests helped him and us in developing the Advanced Surf Life Support Course and SMI’s free Surf First Aid app. In Germany he was trained in trauma surgery, internal and sports medicine. He graduated in emergency medicine. Besides his work in a private practice focused on family and travel medicine he helps out 20-30 hours per week as a doctor in refugee camps. In October he will lecture in Portugal to tell us all about careers and training opportunities in the field of surfing medicine. Interested? Come and listen! Being a surfer and talking to his peers he became interested in surfing medicine, with a special interest in shoulder pain. His research on the incidence of shoulder pain in WQS surfers will be published soon, and he will give us a sneak preview in Sagres! Olly has always had a passion for the coast and surf since bodyboarding from 6yrs old and standing up on his other brothers’ board at 12 years old, he was forever hooked/obsessed. Olly completed his Master’s degree in Sports Science researching the physiological demands of Surfers (2011) – this then lead to him obtaining his PhD in 2016 while working as the lead exercise physiologist at the Hurley Surfing Australia High Performance Centre (researching surfing performance enhancement). Currently Olly is the lead Strength and Conditioning coach for junior New Zealand representatives at the AUT Millennium High Performance centre and is a Research Fellow for Sport Performance Research Institute New Zealand – (current research: Virtual reality for skill acquisition in surfers). He also works with New Zealand World Qualification Series surfers and working alongside Surfing New Zealand. He lives in West Auckland where is exposed to New Zealand’s west coast surf breaks such as Piha and Muriwai as well as the East coast breaks. Hylmar Elsenga works as a Emergency Physician in the Netherlands. He devotes himself to the Advanced Surf Life Support Course; a new course of Surfing Medicine International, training health care professionals in drowning prevention and rescue in an aquatic setting. In October Hylmar will teach us how to deal with wounds & marine bites. Interested? Join us at the conference! Lisa Veith works as a general practitioner in a private health, rehab & injury prevention centre in Austria. She specialises in Sports and Rehab medicine. Lisa has been a member of the SMI since our first conference and also is part of the ASLS team. She’s an active surfer, snowboarder and skateboarder, but because Austria doesn’t have an ocean, she often goes on tropical surftrips to get some waves. The best waves she has ever ridden is Macacronis (mentawais). 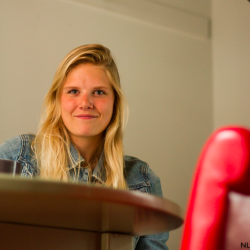 Do want to know how to prepare for a tropical surftrip, follow Lisa’s workshop at the conference! especially surfing and snowboarding. With a background as an athlete on the World Snowboard Tour, she studied Nutrition & Dietetics (BSc.) at The Hague University. Nowadays she lives in New Zealand, where she is in the process of becoming a NZ Registered Nutritionist. Britte also is a graphic designer and her passion lies in translating evidence based theory/ research into a more widely understood and appealing material. She is eager to learn more about the needs to increase a surfing performance by nutrition. Her goal is to create more evidence in this field. She is really looking forward to meet you all in Sagres and can’t wait to share the ins and outs of surfing nutrition with you! Markus Emerich is an Ear Nose and Throat surgery resident from Freiburg, Germany. His ultimate goal is to combine his job with surfing. He dedicated 2016 to surfing and practicing medicine in remote places as the @mobilesurfdoc. When he has time he enjoys to work as a photographer, or as a co-author for his wife, who is a journalist. Markus likes to include new technology into his medical practice. Thanks to a smartphone compatible otoscope he was able to travel the world and collect data about the Surfer’s ear. Are you also afraid to develop a surfer’s ear and do you want to gain more information about this phenomenon and the prevention? Come to the conference! Thibault Viard is an Emergency Doctor in France and works in the emergency room and pre-hospital care. Thibault is particularly involved in adaptive surfing, by volunteering at Vagdespoir, the french pioneer association for disabled surfers. He recently covered the surftrip of four amputee surfers in Mentawai Island, pushing their limits and opening new fields for adaptive surfers. This Conference allows him to share knowledge and experience from this association about adaptive surfing. Interested? Come and meet Thibault in Sagres. Hans van den Broek is a RLSS UK National Trainer Assessor and ISA educational programs presenter. He trains lifeguards and surfcoaches. Hans also owns a surfschool and surfs himself since the 1990. Do you want to learn more about lifeguarding? Then join the workshop of Hans at Conference in Sagres! Dr. Hetzler has an otolaryngology practice with the Palo Alto Medical Foundation in Santa Cruz, California. He attended medical school at the University of Iowa and then did otolaryngology residency training with Kaiser Permanente in the San Francisco bay area. Santa Cruz may have the highest per capita rate of “surfer’s ear” in the world, and Dr. Hetzler has developed an innovative technique for operating on these symptomatic ears and possibly has done more of these operations than any other surgeon in the world. Surfers have come from 26 states in the United States and 14 countries outside the United States to have surgery from Dr. Hetzler. Dr. Hetzler’s main sporting activities are running and bicycling. He has a severe aversion to immersing his body in cold water, but does surf on occasion and is looking forward to experiencing Portugal’s waves. Do you want to hear more about the ‘’surfer’s ear’’, come listen to dr. Hetzler at the conference! Dr. Guido Mucciolo is physiotherapist and Osteopath D.O. Guido is an own practitioner in Italy – Adriatic Coast. Also he is a founding member the SMI. Guido’s every day practice refers to a united interaction of different disciplines as Osteopathy, Applied Kinesiology, Physiotherapy and Posturology, all enriched with the Integrated Medicine’s model. The resulting effect is to offer to all patients’ type both Surfers or not surfers, an high level of “Integrated Manual Medicine. Do you want to learn more about this subjects, attend the conference!